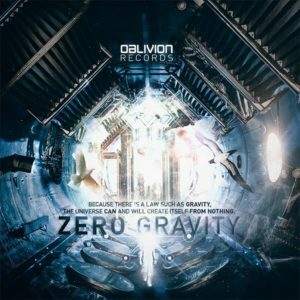 Oblivion Records is proud to present their long-awaited debut compilation, Zero Gravity. This opening collection features music from ten artists spread all over the world, unified with their deep and twisted psychedelic music full of transcending messages and mind-melting feelings, oscillating through your ears and into your doors of perception. Mastered by Bruno Biomekanik @ Biolab, Berlin. MP3 Download | FLAC Download | WAV Download · Download count: 11,603. This is a tremendous comp. The worst track on here is not really bad, and almost all of them are great. Thank u for sharing with our ears this superior kind of music, Ektoplazm. For my opignion this comp is one of top 3 of the hi-tech style of psy. Keep on with the inspired fantastic work friends! …Is this guy Manticore from our mother planet earth…? The Best Web Site & Great Suggestions ! Love it Keep it up Guys ! High quality Hi-tec, fulljoy listening, moving energy in a harmonious way ! Love it! 5 stars! Nice , killer and good compilation , my top or best fav from this one is my hommie : Anceps !! thank you , already played 2 time from this one ! booom and keep rocking guys !